Traditional approach to marketing automation has its own limitations. Sending mass mails is as good as shooting an arrow in the dark. Naturally, you end up with poor ROIs and low engagement all because there weren’t enough quality leads. Even if you did, you scare them aware with your generic email blasts. This one-way communication does not work in today’s marketing landscape where there’s already too much noise and not enough substance. Now, regardless of your intention, people are not okay with spam. They expect you to understand their pain points and provide practical, actionable tips on how to solve them. A 2015 research says 74% people admitted to having less time to view content than in 2014, and the number is increasing every year. So, as marketers, it is our responsibility to do away with the formulaic approach. You can make user experience central to marketing automation by delivering easily digestible, interactive content. According to Demand Gen Report’s 2015 Content Preferences survey, 91% of buyers prefer content that is visual and has an ‘element of interactivity’. Being a marketer you can use interactive tools like assessments, quizzes, online surveys calculators etc. to get to know your prospects better. They work on a simple algorithm: visitors input data and on that basis you provide them with a valuable output and also do their profiling. For now let’s take a look at the informative experience they provide and how you too can benefit from them. Assessments are interactive tools that can be used to ask a series of questions to open up a dialogue. They can be used to evaluate products, benchmarking, determine personalities etc. These are immersive, thought-provoking, and obviously demand more attention from prospects. A well-made assessment gets people to share rich data. You can use this data to influence their journey by providing customized solutions. So, get talking with your sales reps who interact with potential leads daily. Brainstorm on the kind of assessment (personality or range) tool that can garner quality leads. You will be encouraged to know that more than 20% of respondents in Demand Gen Report’s 2015 Content Preferences survey report using assessments for researching B2B purchase decisions. Less is more: The more you push the prospect, the farther they’ll get away from you. So, determine results in as few questions as possible. If your goal is to create awareness, 3-5 questions suffice; if you want to educate prospects then don't include more than eight questions; and finally in the conversion stage stick to asking ten questions. Watch your tone: It should be a fine balance between concise and conversational and must of course be in sync with your brand personality. Make it fun: Even the blandest topic can be made interesting. Let’s say you are a sales firm, then, how about creating an assessment called “What is your Sales Ninja personality”? Guide them: On the results page, don’t overwhelm with too much information. You can open up relevant links or perhaps give them access to a downloadable pdf. Follow Up: Deliver personalized results and thereafter begin nurturing them with relevant solutions. A quiz generates huge buzz owing to its inherently social and shareable nature. 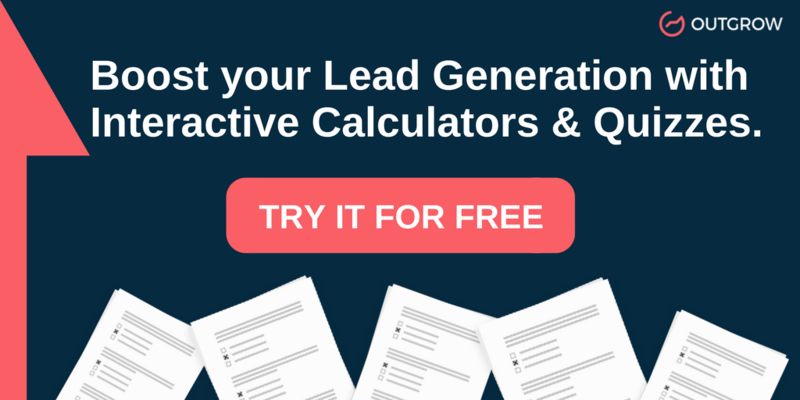 You can also plug this tool into the lead-generation phase to spread a word and generate buzz. Of course, they have to be super fun while at the same time serving your purpose of capturing leads. Think of questions relevant to your industry. 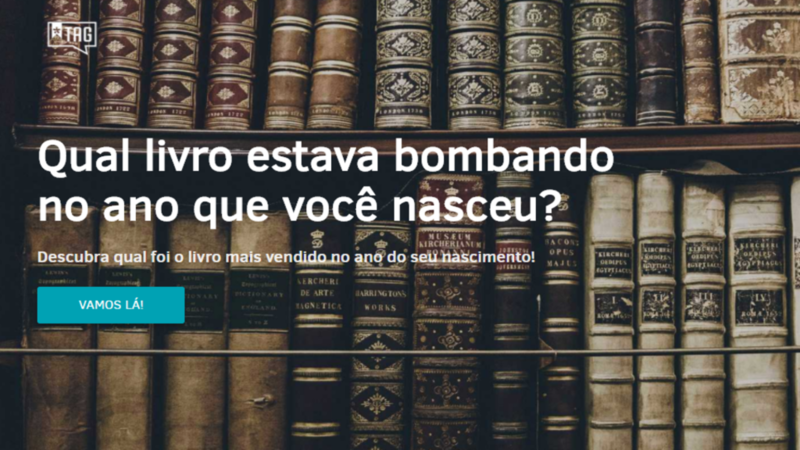 One of the best examples to learn from is TAG Livros who decided to try a quiz as a part of their lead-generation campaigns. Built on the Outgrow platform, the quiz was embedded on their website. 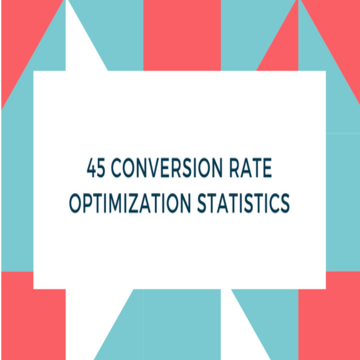 The outcome was phenomenal and they witnessed a 32% conversion rate. Incredible, isn’t it? Wondering why it was such a huge hit? Well, for starters, since they are a book sign-up club they created a quiz that targeted bibliophiles. The premise of the quiz was that it would tell people about the bestseller book from the year they were born in. And, who wouldn’t want to boast about it? The responses were naturally share-worthy which explains why TAG Livros made a noise on social media. Through targeted FB ads they generated 900 like/reactions and 120 shares! A calculator is a tool that requires users to input data that can generate numerical results with the help of a set formula. Owing to its simplicity, the user is highly engaged. Since the tool is user-driven it means they will input ‘genuine’ information that you can eventually use to build your case on. Generally calculators are very popular with real estate and financial institutions. Think EMI Calculator, Rent vs. Buy Calculator, Risk Calculator etc. However, if you are thinking that these calculators are limited to real estate or banking websites then you are wrong. Magazines like Cosmopolitan are using calculators since they are highly engaging. #2 you enable your customer to understand their needs so that they are better prepared for the sales conversation. Since data visualisation is made easy with calculators, VenturePact a software development marketplace decided to leverage its benefits. 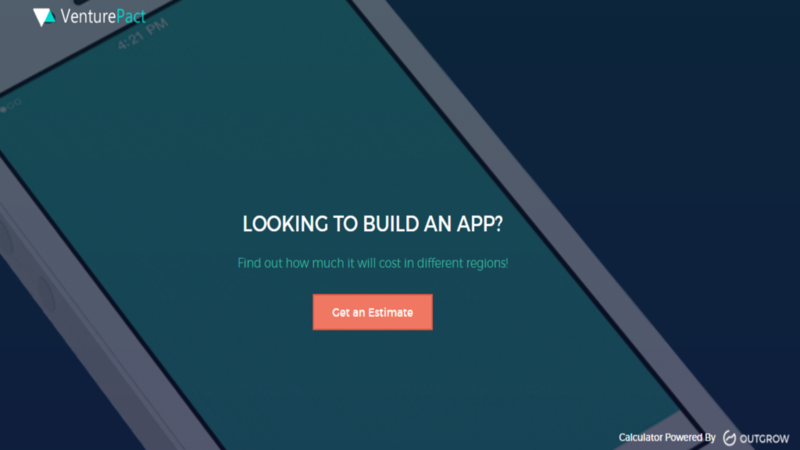 Within two weeks of launch, the calculator they built using Outgrow platform, bumped up the traffic by 15% traffic also conversion rate by 28%! Marketing requires improvisation at every stage, especially when you have your prospects’ attention. The DemandGen Report once again states that companies that excel at lead nurturing generate 50% more sales leads at 33% lower cost per lead. Because white papers and pdfs tend to be information-heavy they can be given a make-over by making them interactive. Once it reaches customers you can easily track sections that were most viewed. Since you can pair assessments, calculators and other widgets you also gain access to what information they entered. All of this can help your sales team develop an insight and assess customer’s needs and expectations. So, start repurposing static content on your website. Besides, remember that the more you continue to stay in touch with relevant content, the more your chances of cross-selling or upselling. One of our favorite interactive whitepapers is by Hyatt Legal Plans. 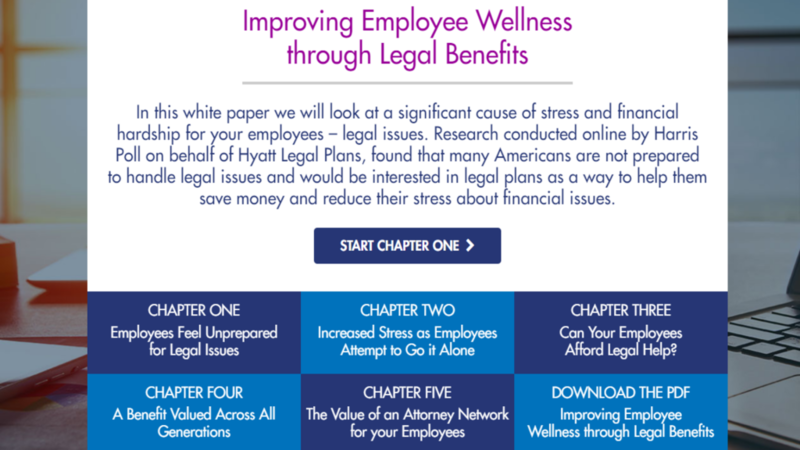 Backed with research, it simplifies a complex issue: how employers can improve employee wellness through legal benefits. The white paper is divided into chapters rather than pages of static content. Based on what’s their pain point, users can access options in front of them. The white paper is downloadable too which can help a marketer find out which user actually seems more interested in Hyatt’s legal plans. Once you generate leads with the help of the aforementioned tools, send them to marketing automation tools in order to nurture them. According to a Genius.com study, 66% buyers indicate that "consistent and relevant communication provided by both sales and marketing organizations" plays a key role in their buying decision. In fact Market2Lead study reveals that nurtured leads experience a 23% shorter sales cycle. 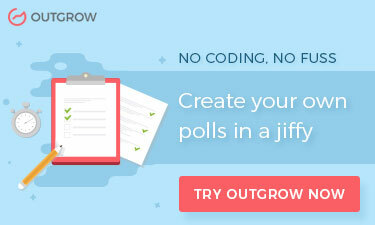 For example, if you use Outgrow, you can send data generated by quizzes, calculators and assessments to any marketing automation platform of your choice. Just imagine how this rich data will help you kick your lead nurturing and targeting into overdrive! Remember: With interactive content you generate organic leads that demand constant care and attention till the time they become your customers and even after that. Interactive content helps you get more results from marketing automation through its ability to get more leads together with rich data about the leads. 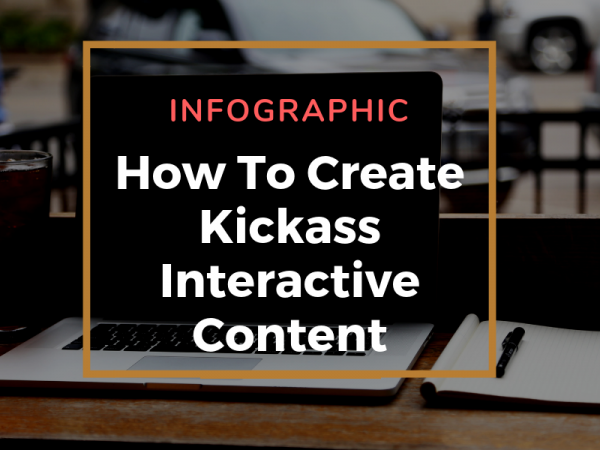 Essentially, if you see, it all boils down to creating relevant-to-your-business content and making it interactive so that it addresses prospects’ interests, needs and challenges. Are you up for it? 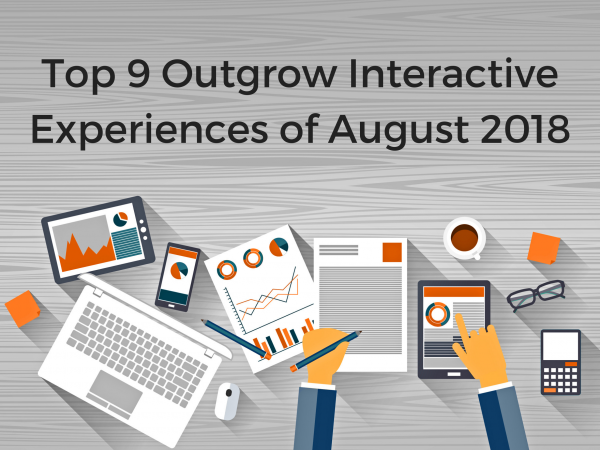 Interactive experiences can do more than just fueling your marketing automation system. They increase conversion rate and get you business. It’s time you try them for your business.